Conquer the most creative district of the city, where inventive restaurants, bars, cafés, shops, and cultural institutions will make your heart jump with joy. Our Street Suites in Neubau are located in the center of the most popular district of Vienna. Our guests check in autonomously and without a reception. By using the code we provide, they access the key-safe on the façade of the building and retrieve their room key. Of course URBANAUTS Hospitality is available for any questions regarding your stay. In the middle of Vienna. In the middle of the action. The 6th district will make your heart jump with joy. The Mecca of Vienna’s creative scene encompasses a wide variety of fashion stores, which are often run by the most promising young fashion designers of the city. For those who prefer rummaging there also is a wide range of Second Hand & Vintage stores, while the nearby Mariahilferstraße, the largest shopping street of Vienna, offers the possibility of a shopping experience in its full range. Craftsmanship, art and design also don’t come up short in this neighborhood, but its central characteristic is the large number of restaurants, bars, and cafés located here, that have something to offer for every taste. A number of places also offer services late into the night. 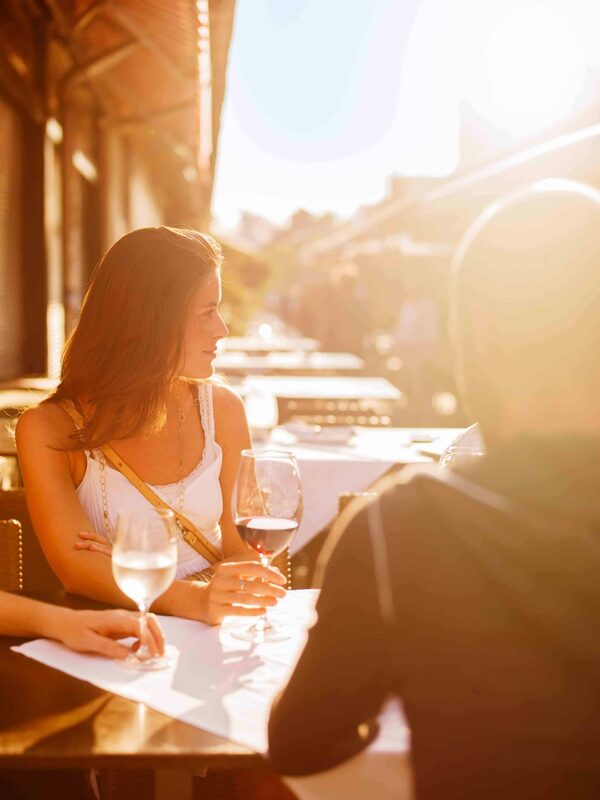 Whether you prefer classics such as the Café Nil or Café Espresso, hip newcomers such as the Tian Bistro, or institutions such as the Café Europa or the Donau – the choices here are almost unlimited. For those who prefer a more quiet or green experience the parks around Heldenplatz or Rathaus are not far away and not only make a stroll to the city center a worthwhile experience, but also provide shade, even on the hottest summer days. If it is culture you seek, the main central library of Vienna, the museum of cultural or natural history, the museum of ethnology or Museumsquartier are not far away. At the latter you will find cultural offers for every taste and even a museum specialized in providing a cultural experience for children. Theatres, such as the Volkstheater and the Theater in der Josefstadt are also around the corner. If you have trouble deciding you can just go for a stroll. The city will find you. 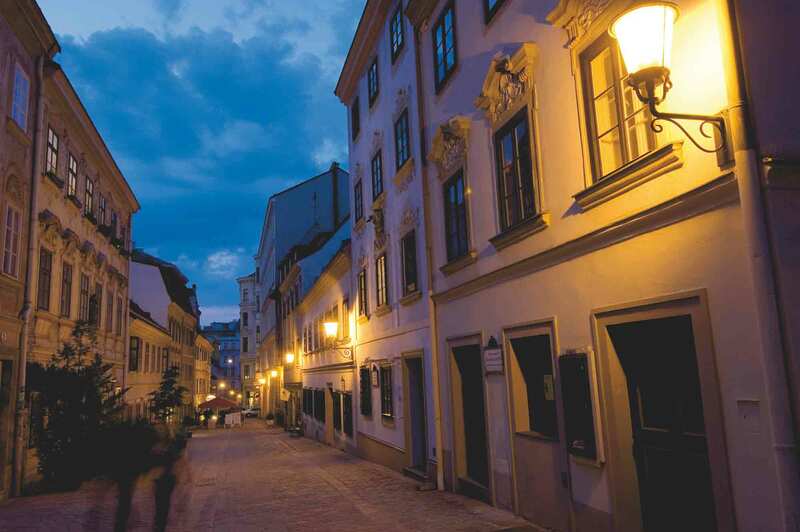 A special Vienna: One of the most popular areas in the 6th district is Spittelberg. This formerly infamous neighborhood has seen an influx of wonderful establishments over the past decades. In its charming and romantic little streets you will find authentic Viennese pubs, comfy restaurants for the entire family, hip bars, and a very special part of Vienna. There won’t be much to miss in Vienna’s liveliest neighborhood. Our Street Suites are located at the corner of Neustiftgasse and Neubaugasse, right in front of one of the most popular streets of Vienna. From here it is less than ten minutes by foot to Heldenplatz, or to the largest shopping street of the city. In just a few minutes you can reach a great number of restaurants, bars, and cafés, that offer high quality service – with that certain something included. Culture is also right around the corner. Volkstheater and Museumsquartier are only a few minutes away. Other destinations are also within grasp. Westbahnhof and other transport hubs can easily be reached from here. There is not a lot you will miss.